These bags are great for mailing of invoices, imp papers, cheques, DVDs, CD's, brochures, samples, garments, online shopping, leaflets, etc. 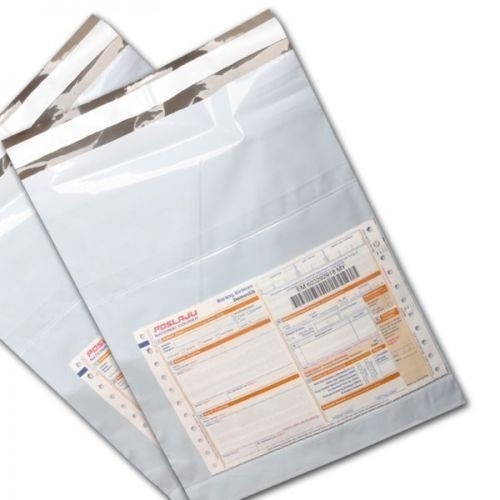 Founded in the year 2012, we Securement Packaging are a leading Sole Proprietorship firm that is affianced in manufacturing a qualitative array of Courier Bags, POD Courier Bag, Tamper Evident Security Bags, Courier Envelopes, Security Envelopes and much more. Since our beginning, we are providing our valued clients with a high-quality range of products as per global set standards. Under the headship of our Co-Founder “Mr. Darshak Shah”, we have gained an incredible success in the national market. Our company is located at Ahmedabad (Gujarat, India), where we manufacture these products in an efficient manner.